Scott Muscat's St. Thomas Aquinas baseball team made it within one win of the Division II championship game in 2017 - all after a slow start, Muscat noted to NCAA.com. "Then we went on a 28-4 run," Muscat told the site, "and the confidence of the team, and some new guys that stepped up there was a lot of confidence there." Muscat took his team to those heights in his long career as the team's head coach. He previously played himself, in the Brewers organization. He played two seasons, making it as high as single-A. 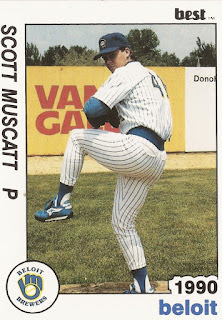 Muscat's professional career began in 1989, taken by the Brewers in the 18th round of the draft out of the University of North Carolina at Charlotte. 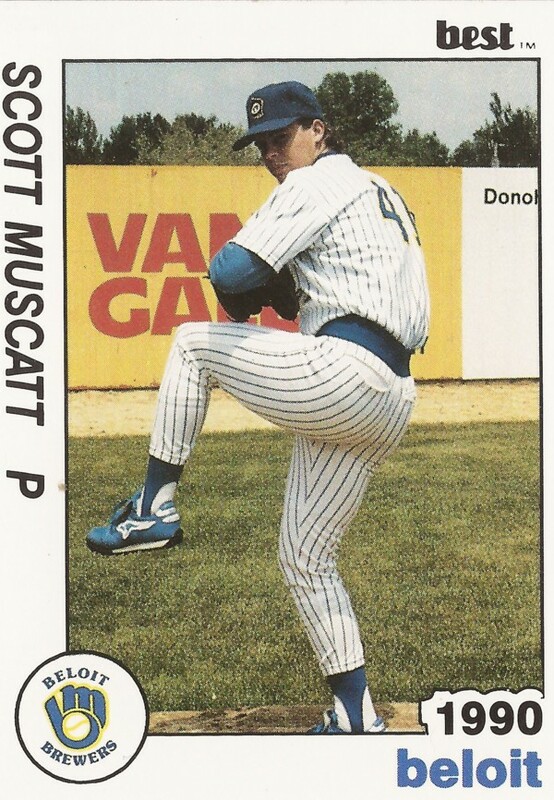 Muscat's name has also been spelled Scott Muscatt. Muscat started with the Brewers at rookie Helena. He got into 18 games, started two. He picked up three wins, one save and a 4.02 ERA. He moved to single-A Beloit for 1990. He got into 20 games, starting 10. He went 4-6, with a 3.89 ERA before a shoulder surgery ended his career. Muscat joined St. Thomas Aquinas in Sparkill, NY, in 2000. He continues there in 2017. He picked up his 300th NCAA victory in 2014. He also has multiple Coach of the Year honors. On the team's 2017 tournament run, St. Thomas Aquinas defeated UC San Diego in extras in the first round. Muscat told NCAA.com about his team's approach. "You have good approaches at the plate, you work a walk, you put the ball in play, you get an error, and good things could happen," Muscat told NCAA.com. "And they did. They've been doing that all year. Close games, there's no panic. There's been nobody getting out of what we've taught them to do. Good things happen when you stay in that mode."